Communities of Interest offer opportunities for staff at member libraries to network, collaborate on projects, and to share knowledge on topics of interest important to private academic libraries and the consortium. Task Forces may be appointed from time to time by the Directors' Council, who will also designate the Task Force Chair. Each Task Force selects other officers as needed, meets as needed, and exists for a designated period of time or until the task is completed. Task Forces submit reports to the Executive Committee and then the Directors' Council.  Working Groups, comprised primarily of members of the Directors' Council, are organized to accomplish both the functional and visionary work of OPAL. Working groups sometime call upon the expertise of OPAL staff beyond directors. Current Working Group topics include marketing and communication, outreach and relationships, assessment, and shared expertise. Our Strategic Planning is done by a Standing Committee.